These are just some of the most talked about joys of the Makena Surf Maui, on the southwest coast of Maui, Hawaii. 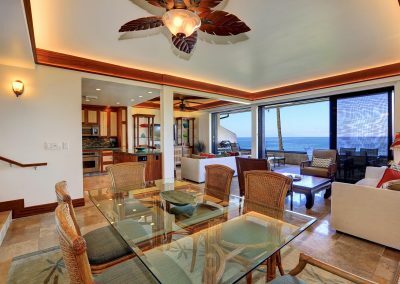 Here is the luxury Maui condo rental that beach lovers seek to find, on a magnificent, meandering coastline. Right in front of you, humpback whales cavort in their winter home. 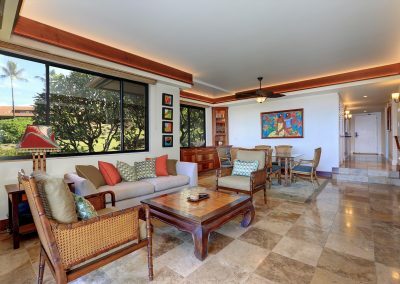 While behind you beckon the activities of a richly appointed resort, including two swimming pools, four tennis courts and, just beyond, the fairways of the Wailea golf courses. 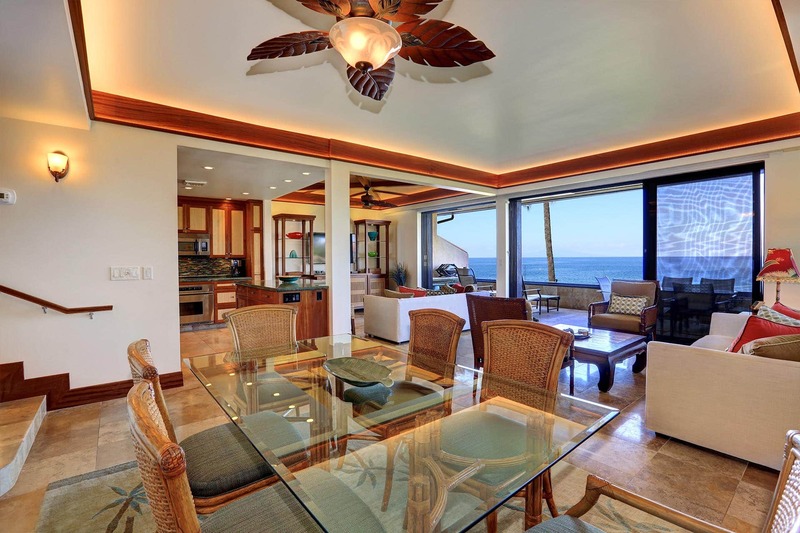 Makena Surf Maui is a special place and our condo is a special unit. 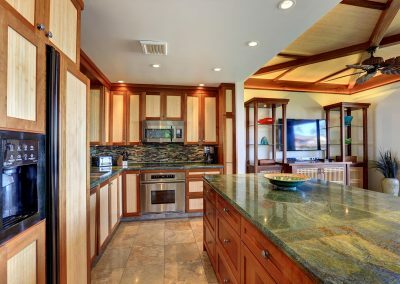 Of all the units at Makena Surf Maui the original developer kept ours for himself! We were lucky enough to obtain it in 2012. 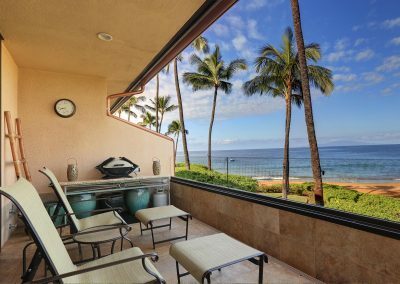 Our unit, E206, is a rare corner unit that provides a panoramic ocean and beach views and overlooks the historic landmark Heiau garden. 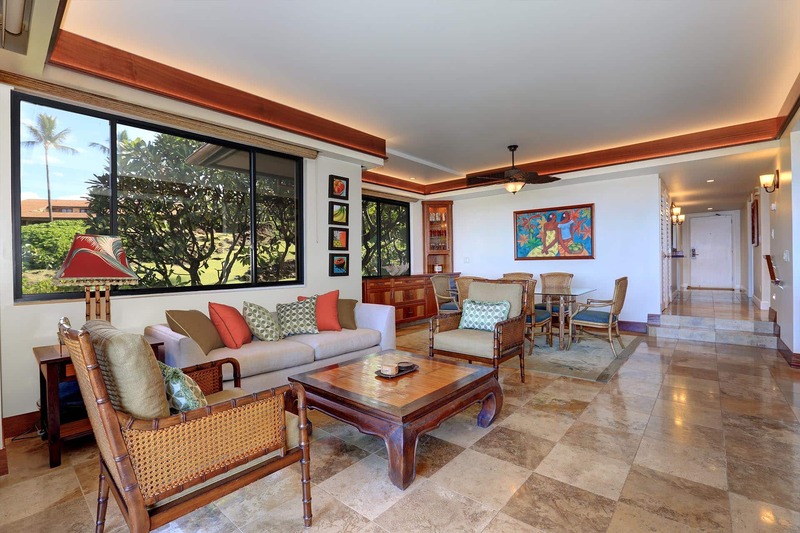 Our one of a kind luxury vacation rental has large side windows that combine amazing light, privacy and the closest access to the main Makena Surf beach, Po’olenalena Beach. 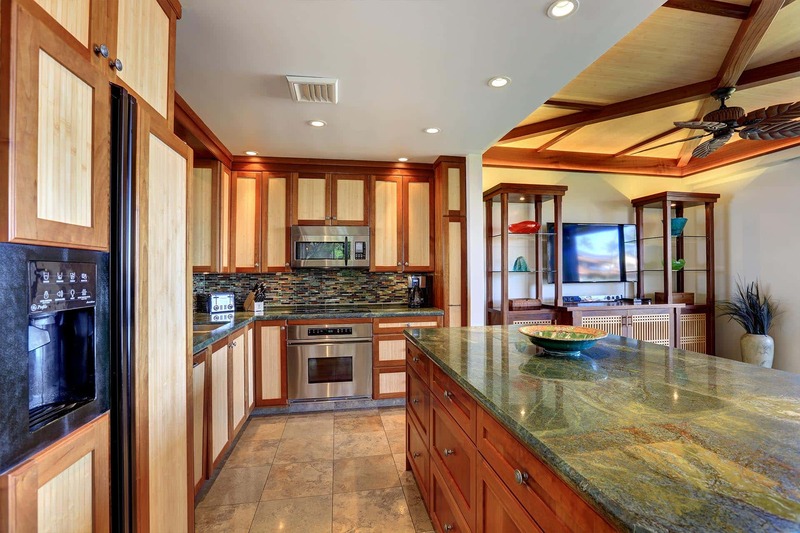 It has been completely renovated with beautiful stone and wood surfaces, contemporary but comfortable décor, fully-equipped gourmet kitchen, high-end appliances and state of the art electronics. 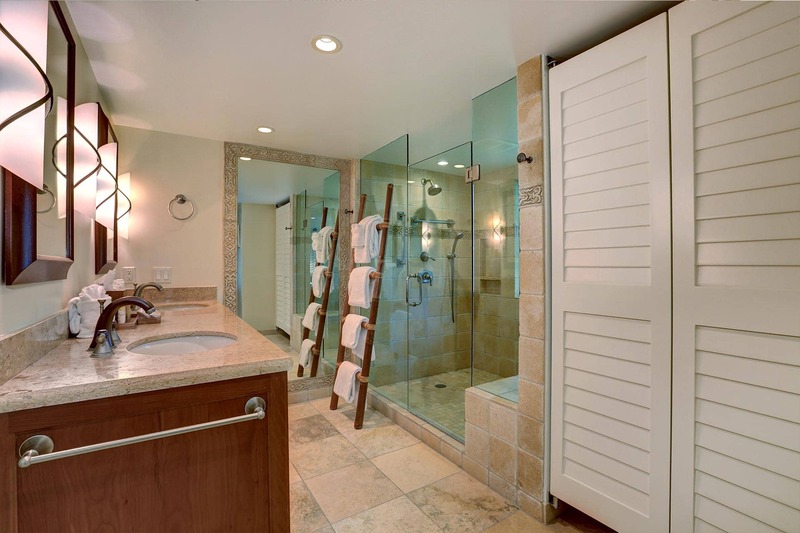 The master and guest bedrooms have California king beds and spa-like, en-suite bathrooms. 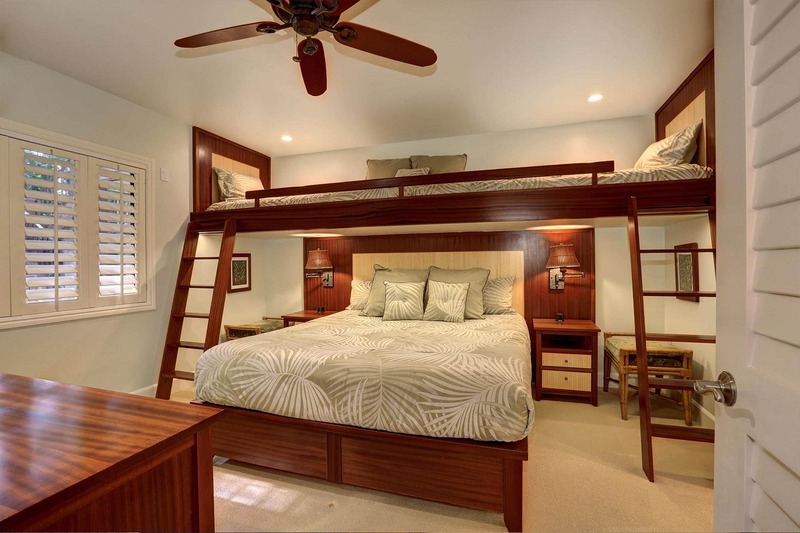 Our guest bedroom includes a loft custom-built to hold two extra-long twin beds. 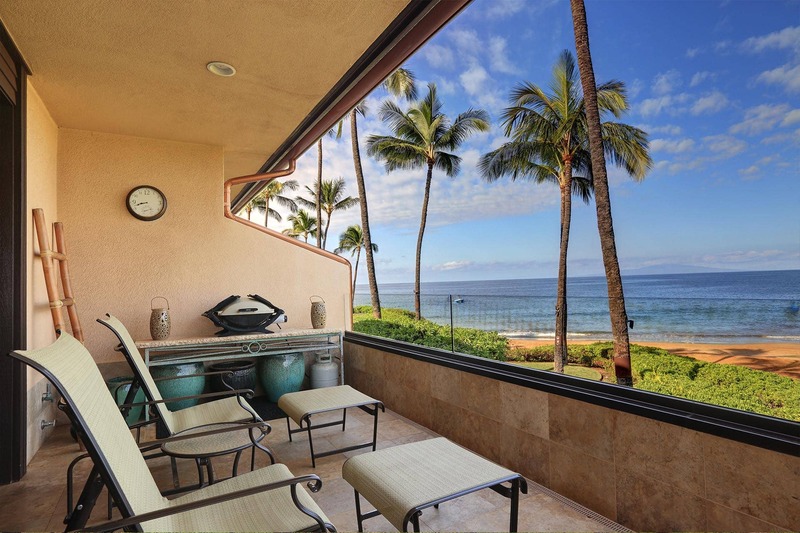 The large lanai is complete with Brown and Jordan furniture and barbeque for spectacular sunset views and dining. Living room entertainment center has a Smart TV and sound system, complimentary HD channels and high speed WIFI. 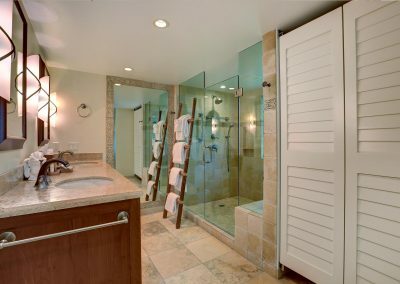 We provide everything we can to ensure your stay at Makena Surf Maui will be one you will never forget. 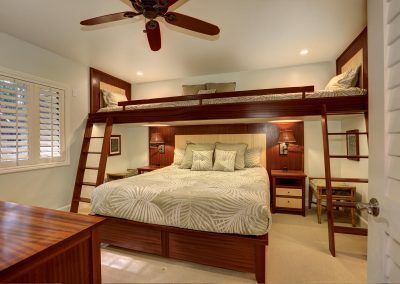 King bed with 2 single loft beds in the guest bedroom.